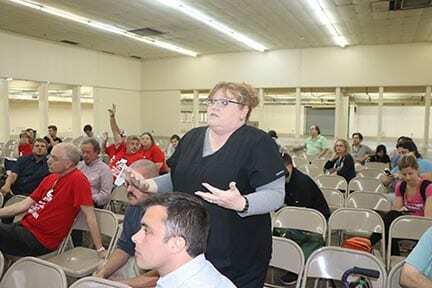 NASHVILLE, TN – Metro planners faced a small but skeptical crowd at the Fairgrounds last week. Anna Grider, Michelle Scopel, and a consultant with Smith Gee Studio, Scott Morton, presented a new plan to change 10 acres of open space at the Fairgrounds into mixed use. It went over like a lead balloon. At first, people sat quietly in their chairs but became animated when planners took questions from the floor. “We want to hear from you if this is an appropriate location for a change in land use policy to community center. Is that appropriate? Is it something the community would like?” Grider asked. “We already are a community center,” said Shane Smiley, an advocate for Flea Market vendors. “We have more uses and more events and there are often multiple-events here at the same time,” he said. “What you’re adding is actually harming what is already a very successful venture,” he said. In 2016, the Fairgrounds hosted about 700 events and got 1.5 million visitors. Much of the time between events, it sits empty. Save Our Fairgrounds, an opposition group, says changing the zoning to allow 24-7 uses, like housing, a hotel, and commercial office space, will destroy the nature and character of the Fairgrounds forever. They support a soccer stadium but want it built elsewhere. They also say parking will be a problem if 30,000 soccer fans attend 17 MLS home games at the Fairgrounds beginning in 2020. 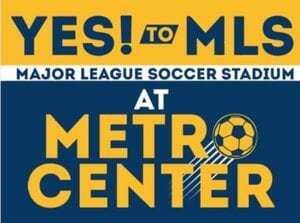 There could be another 17 home games if Nashville SC, which now plays at First Tennessee Park, moves over to a new soccer stadium. It is in the United Soccer League. There would be even more matches at the stadium if professional women’s soccer gets a Nashville team. “What makes the soccer field be better on top of the hill than the bottom of the hill?” asked longtime racer Jerry Coble. “When this proposal first came to the city council the stadium was on top of the hill and all the existing uses would be on top of the hill and other mixed uses would be down on other portions of the property,” Smiley said. “It was going to be our stadium, too, is the way it was pitched–– that we’re going to be able to use the mezzanine around it––and the concession stands and bathrooms––and it was all going to be part of the Fairgrounds,” he said. “But now what we have is a bait and switch. Now we are going to take everybody and we’re going to shove them down here and we’re going to take all the valuable property on the top of the hill,” Shane complained. “This is a horrible idea and you need to go elsewhere,” he concluded. Early drawings of the proposed soccer stadium did show it on the top of the hill surrounded by Expo facilities. The latest drawings retain none of the expo buildings at their present location. They would be torn down and new facilities built down the hill on lower ground. “Do you really need to have housing in this facility?” asked Jennifer Reinard, a vender who makes and sells dog treats at the Flea Market. “Two audiences you see with soccer are the millennials and the international community,” said District 17 Councilman Colby Sledge. “This site is at the intersection of two groups that make for an audience that could come into the Fairgrounds without displacing anybody,” he said. “Why is this site even important to soccer? 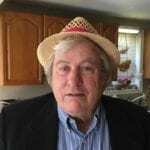 What’s wrong with Metro Center?” asked Coble. “The people are telling you to leave it alone. You put up a hotel and other apartments or whatever, it’s driving racing out. “It’s going to happen. You know it and you’re lying to us,” he said. Attempts to develop the State Fairgrounds date back at least until 2011 when former Mayor Karl Dean tried and failed to end racing there. Megan Barry tried to develop Fort Negley but her plans to privatize the historic park failed when developer Bert Mathews pulled out of the project in January 2018. The Planning Commission will consider the new soccer plan Thursday, July 26, at 4 pm at the Board of Education chambers on Bransford Ave. The city council is scheduled to debate the issues surrounding the soccer stadium and the Fairgrounds on Tuesday, September 4. The current proposal includes new commercial, retail, and residential buildings on ten acres next to the stadium. Metro would rent the stadium to John Ingram for 30 years. Ingram owns Nashville’s new MLS team. Metro could gift an additional 10 acres to Ingram to develop as he likes. If that deal is approved, half the property taxes on the ten acres will go to long-term improvements and maintenance of the 117-acre Fairgrounds property. “We have not approved anything yet until 27 of us say you can do all these things,” said District 12 Councilman Steve Glover. ”That’s what really confuses me about the entire process because we have the cart before the horse,” he said. Glover said the city council has only approved $275 million in bonds to finance a new soccer stadium. A 2017 appraisal by Neiman-Ross Associates valued the land where the soccer stadium was first proposed at between $15-$18 million. Appraisers said another 28.5 acres were worth about $31 million. The ten acres next to the new stadium site Ingram wants to develop have not been appraised but are probably worth at least $15 million. These estimates do not consider the additional value the land would have because it would be so close to a $250 million soccer stadium. Momentum is building to relocate the soccer stadium elsewhere. Newly elected District 1 Councilman Jonathan Hall supports building the stadium in Metro Center. Mayor Briley wants it located at the Fairgrounds.